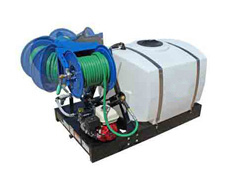 Among the water storage solutions offered by GEI Works are the Argo Skid Power Sprayer and Argo Skid Water Trailer. Instead of a trailer mounting, they are secured to a channel iron frame and are transportable in the bed of a truck, ATV, or another transportation unit. Argo Water Skids are available in a 500-gallon capacity, although 50 and 100-gallon options are available for smaller utility vehicles. Each trailer is equipped with a spray bar, fire hose, suction hose, and a 2” Tsurumi pump using a Honda engine. The Argo Water Skid by GEI Works is a simple, rugged, reliable, and durable multi-purpose liquid storage transport and the polyethylene material used can be optimized for different chemicals or for potable and non-potable water. Typical skid sprayers feature a pump offering 7.4 gpm, although different power ranges are available and are customizable in a range from 4 to 20 gpm and up to 590 PSI. moreover, our team will be happy to help you. * Ask us about financing options! Where the Argo Water Trailer cannot go, our water skids will be there to offer you the convenience you need for your project. 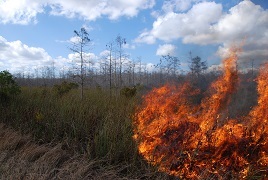 The firefighting industry requires a variety of bulk water storage needs, from fighting brush fires to fire suppression on farms or even rural firefighting and sometimes conventional options do not fully solve the problem. One of our many answers to this is the Argo Water Skid, as wherever your truck or vehicle can go, the water skid can come along with it. Each Water Skid can be loaded into or onto the bed of a vehicle and brought to a location for on-demand fire mitigation, in addition to the convenience of being operable by one person. Like the Argo Water Trailer, it has a streamlined design giving you every item you need to fight fires, including a 500 gallon capacity (or 50 to 100 gallon for smaller suppression needs), 2” Tsurumi Pump with a Honda engine, suction hose for fire fighting, spray hose, and a spray bar. Water skids are also UV stabilized and can be optimized for the transport of potable drinking water, making them an ideal solution for disaster relief. With similar capabilities as Argo Water Trailers, they are capable of delivering clean drinking water to more inaccessible regions following any form of disaster and providing quick distribution to areas in need. For information about our Argo Water Trailers, visit our water trailer overview page. If you have questions about the Argo Water Skid, feel free to give us a call at 772-646-0597.